We are equine insurance experts licensed to sell insurance to horse owners, professionals and facility owners throughout the United States. ​Service, Integrity, and Professionalism - Like you've never seen before! 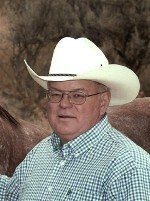 For more than 30 years, Rich has campaigned horses throughout the US and Canada, winning countless regional, state, and international championships.